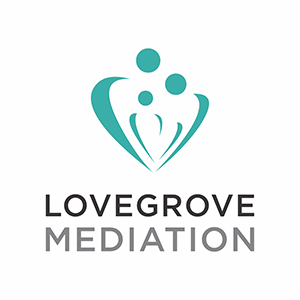 For the purpose of the Data Protection Act 1998 (the Act), the data controller is Lovegrove Law Ltd.
Information that you provide by filling out my contact form on lovegrovemediation.uk. This includes information provided at the time of submitting the form. Details of your visits to the site including, but not limited to, IP address, traffic data, location data, web logs and other communication data. To ensure that content from my site is presented in the most effective manner for you and for your computer, tablet or smartphone. To provide you with information or services that you request from me or which I feel may be of interest to you, where you have consented to be contacted for such purposes. I will never sell any of your personal data to a third party. However, in order for me to provide our services to you, I may, from time to time, require to share your personal data with trusted third party service providers as detailed below. Whenever I share your personal data, I put safeguards in place which require these organisations to keep your data safe and to ensure that they do not use your personal data for their own marketing purposes. IT companies who support business systems and databases. You can request for your data to be deleted from the system by contacting me on kate@lovegrovemediation.uk. Please note that any requests to update your personal information may take up to 14 days for your e-mail request and 2-4 weeks to process your postal mail request.